Do you want to hide password protected galleries on your WordPress site? 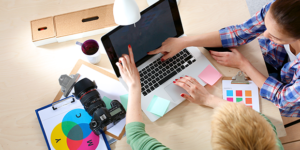 You may have a password protected photo gallery that you created for a client, and you don’t want it to show up in the loop along with all of your other galleries and blog posts. In this article, we will share how to hide password protected galleries from the WordPress loop. 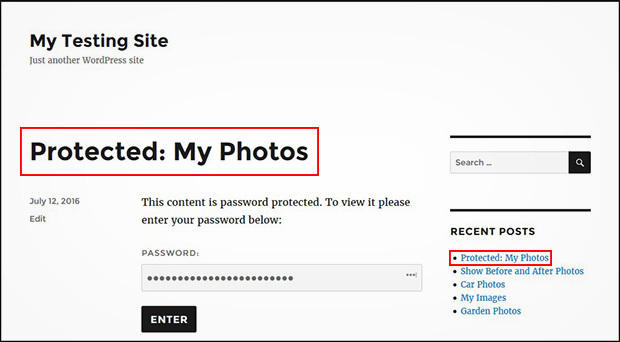 You may have a password protected post with an image gallery in it, or you’ve created a password protected image gallery in WordPress and placed it in a blog post so that it can be viewed by your client. Only those who have the password will be able to actually access your gallery and view the photos. However, anyone browsing your blog feed or archives will be able to see that a password protected gallery exists in the archives, recent posts, and other places that display the blog post loop. This is OK for your client to see, but it looks very unprofessional on the public pages of your website. If you want your gallery to be completely invisible to the public (except for those who have the direct link to it), then you’ll need to hide the password protected post that contains your gallery from the WordPress loop. This code will display the password protected posts with image galleries to the user roles of administrator and editor in your WordPress site. We hope this article has helped you to learn how to hide password protected galleries from the WordPress loop. You may also want to check out our guide on how to create a photography client login with WordPress.